Set in the stunning Ariège-Pyrenees, the Fogas Chronicles centre on the small commune of Fogas and follow the lives, loves and machinations of its inhabitants. Quelle horreur! The venerable Auberge des Deux Vallées has fallen into the hands of an English couple and that spells the end of gastronomic civilisation for the small commune of Fogas in the French Pyrenees. The mayor is particularly incensed: he had intended his brother-in-law to take over. He determines to eject les rosbifs by any means possible, and before they have had the chance to serve their first pastis, Paul and Lorna are up to their eyes in French bureaucracy. But the mayor hasn't reckoned on the locals. 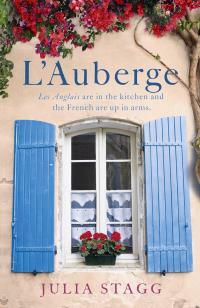 They have their own reasons for wanting l'Auberge to succeed and they take the young incomers to their hearts. If they pull together, can they outwit the mayor or will l'Auberge end up in the merde? 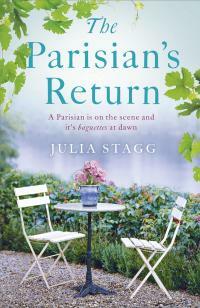 Chocolat meets Clochemerle in the first of the Fogas Chronicles, a heart-warming tale set in rural France. 'My cassoulet did NOT come out of a tin!' Madame Loubet, on the Mediterranean. Cri de coeur! 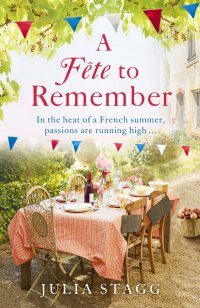 When Stephanie brains an intruder with a stale baguette, she doesn't realise she has assaulted the new owner of the épicerie. Parisian-exile Fabian's welcome goes from bad to worse as his attempts to drag the shop into the modern age are met with a resounding non! by the residents of the small commune of Fogas in the French Pyrenees. He is on the verge of admitting defeat when he's hit by a coup de foudre and falls in love. Stephanie herself is too busy for l'amour. Working at l'Auberge and getting her garden centre off the ground is taking all her energy. She doesn't even notice that her daughter Chloe has something on her mind. Troubled by a sinister stranger she has seen loitering in the village, Chloe has no one to turn to. Her only hope is that someone hears her cries for help before it's all too late. In a chanson d'amour with more twists than a mountain road, the unexpected is just around the corner. 'An enthralling adventure in the high mountains. And yes, that baguette was stale and I have the bruise to prove it.' Fabian Servat, cyclist and ex-banker, Fogas. 'What a beginning! Although I must say that I really didn't hit him that hard.' Stephanie Morvan, waitress and entrepreneur, Fogas. Zut Alors! 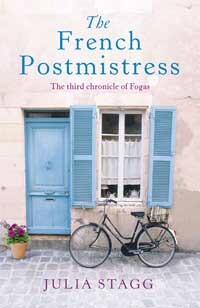 When her post office burns down, postmistress Véronique starts lobbying for its replacement. But her fellow residents of the small commune of Fogas in the French Pyrenees are too preoccupied to rally to her cause. In a tale with more ups and downs than a Pyrenean horizon, things are about to get grizzly. Mon Dieu! It's summertime in the French Pyrenees and the mountain commune of Fogas is en fête. But Christian Dupuy has no time for the frivolity of les vacances. For a start he's just been struck by the arrows of l'amour and doesn't have a clue how to approach the woman who's stolen his heart. Then there is the not-so-small matter of local politics. With moves afoot to wipe his community from the map, Christian will have to enter the fray once more if he wishes to save the place he cherishes. In the midst of a sweltering heatwave and with the residents of Fogas at each other's throats over their future, the lovesick and embattled deputy mayor is forced to decide if all really is fair in love and war. Fourth of the Fogas Chronicles - it's summertime but the loving is far from easy!